We examine in depth your Morphogenetic Inner Aspect and Field, as well as your energetic System of Transformation. Welcome to Workshop Eight of the ONA Workshop Series. In this workshop, we will study Transformation, the Eighth principle of ONA and the principle that underlies your Eighth Field and Inner Aspect (Morphogenetic), and System. How to meditate using the Transformational Breath. This will assist you in working with your goals and during mediations to actualize your transformation. Use this during times when things seem foggy in relation to your goal and you need some clarity. All about the color of Transformation (indigo). This is the color that has come to represent the energy of beings that wish to be more in touch with their insights concerning wisdom, self-responsibility, knowledge and management role-playing. At this level beings that are drawn to Indigo are able to hold a large place in the society they are a part of. They will tend to become big game players or those who look for bigger games to play. 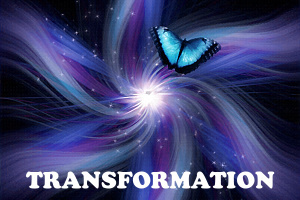 The &apos;sound&apos; of Transformation and how to use it. This is the energy that manifests form and then multiplies itself. This is best performed by way of the hand or a transferring of energy from one place to another. In the process of manifesting and multiplying various levels are brought together. This is the energy of crossing over from a single being with one viewpoint to the multiplicity of the Higher Self. At this level the Higher Self is beginning to identify itself through this process. During an ONA session, pay attention to any blocked areas of energy at a particular position or within any particular Field, Inner Aspect or System. You can dialogue with these areas to ascertain their purpose. Then you can utilize the combination of the first eight Systemsâ€™ sounds. Use any of your ONA Breathing Techniques to enhance and direct the sounds. You can add those techniques, sounds and hands-on from later ONA Workshops when you have learned them. How to practice the Transformational Techniques. The way through this is to begin claiming your certainty. Begin finding what you do know for sure and begin to make those statements. Eventually you will find your thought, emotions and your entire life changing before your very eyes. You will see the illusions of doubt begin to slip away. Transform your emphasis from what you are doubtful of to what you do know is so.